Finally, a book that helps entrepreneurs young and old on their journey of finding the “American Dream.” Is this the new Gold Rush? Will people want to get involved with this industry? What are the potential for earnings . . . millions? Billions? As more states agree to the sale of marijuana, the opportunity to open dispensaries and/or grow facilities will continue to rise. Over the last two decades, large corporations like Monsanto, a sustainable agricultural company, have bought up hundreds of family farms and turned their food harvests into huge profits. It is not a stretch to envision the same tactics being applied to the marijuana industry. The opportunity is here, and it’s real, and the possibilities are endless. Marijuana Business enables you to be sure you don’t forget any details. 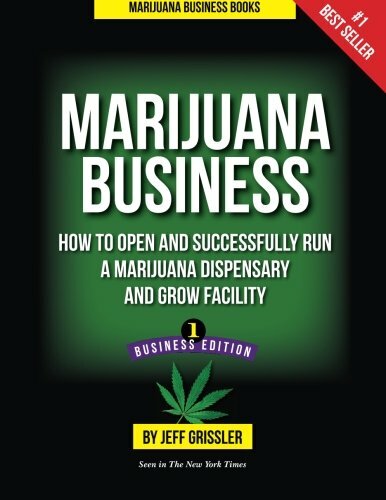 With this book you will have laid the groundwork, from start to finish, for eliminating the mistakes others have made, preventing unforeseen problems, and running a successful marijuana business.